The class will include hands-on meditations and exercises and will guide participants through a thorough understanding of their own subtle anatomy. 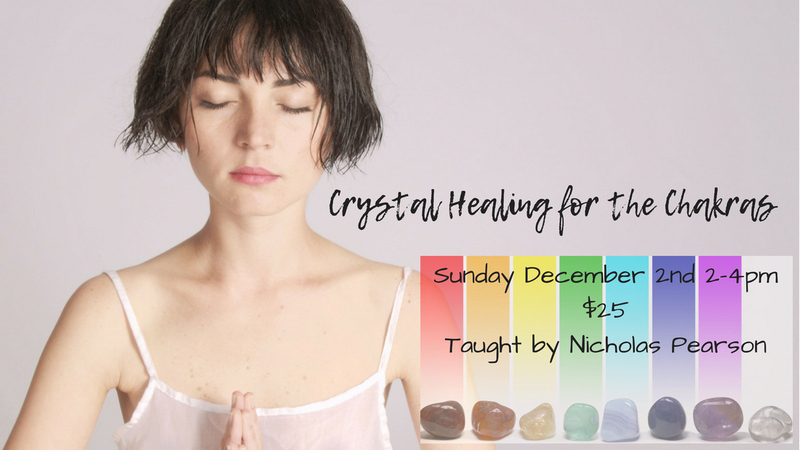 Nicholas will teach methods for sensing and visualizing these energy centers as well as detecting imbalances within them. By the end, everyone will have the knowledge necessary to build his or her own crystal toolkit for healing the chakras.